What is the best way to bring attention to serious animal rights issues? This week, the sleepy little Dorset village of Wool was bombarded with publicity after PETA demanded the town change its name to Vegan Wool. The vegan charity had sent a letter to the parish council saying that if they changed the village's name to Vegan Wool, the campaign group would send 2,000 'cruelty-free' animal-free wool blankets to residents. It made the headlines in every national paper and news network, with the move being openly mocked - which is exactly what PETA wanted. "If it takes us looking silly in order to get these issues into the public domain, so be it," said PETA UK Director, Elisa Allen. "It's not controversy or criticism that's our biggest enemy; it's silence and ignorance." Allen claimed that when PETA approached media outlets to talk about issues around animal welfare in the past, the group has been ignored; in other words, they've been forced to resort to increasingly absurd shock tactics. In my experience, PETA is pretty unpopular among omnis and vegans alike. It's known for getting campaigners - usually women - to strip off and parade around in public. In Ohio it got 'hot chicks' to wear sandwich boards complaining about the treatment of chickens. It got Playmates to dress up as hot dogs in Washington, and put naked pregnant women in cages in the UK and naked women in cages in Spain. One assumes it's working off the principle that the media is more likely to pick up on a pretty vegan with large breasts over a hairy man any day - although many of us might think that unfeminist. PETA campaigners have thrown paint bombs at people. Made wild claims that being vegan makes you better in bed, and linked the animal industry to the Holocaust. Its petitions are uncomfortable and negative - quite different from the way many of us try to spread the word. PETA isn't the most face-friendly campaign group in the world and there definitely was a time when its shock tactics were genuinely shocking. But one wonders whether it's growing a little outdated in 2018 - it’s no longer acceptable to use women's bodies as a 'LOOK, A NAKED WOMAN' tactic for serious political messages - but that doesn't mean going from the sublime to the ridiculous. Veganism has grown hugely in very recent years and on the whole, I think it's because there’s more choice and more easily accessible aspiration. 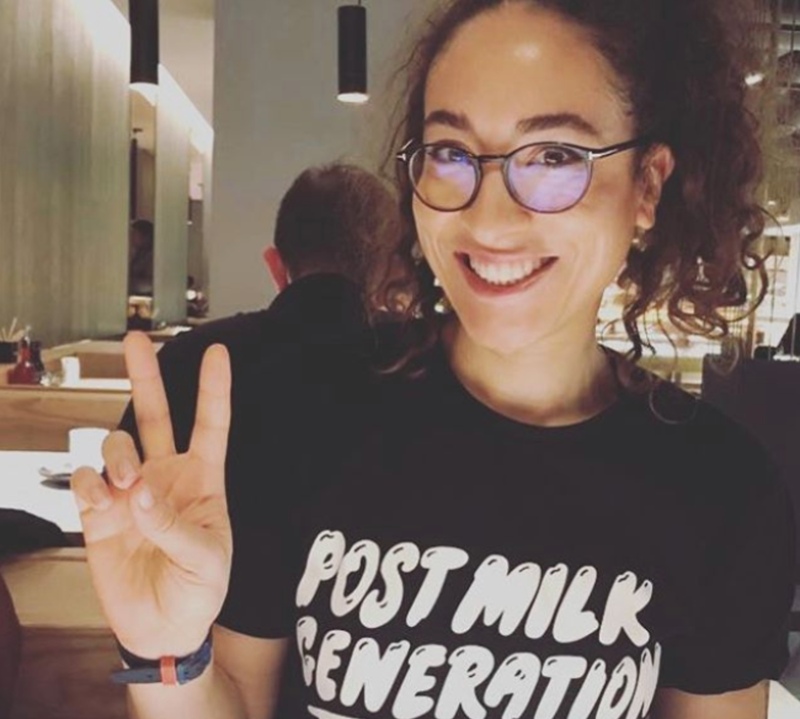 Yes, loads of us have watched things like Earthlings but it's campaigns like Oatly's 'It's like milk, but made for humans' that start getting regular people to ask questions about everyday animal products - without making huge changes. What we don't need is people within the movement making us look like idiots. The mainstream already thinks we're all nut cases as it is. If Waitrose-gate and the ensuing articles asking 'why do we all hate vegans?!' proved anything, it's that while an increasing number of younger people are waking up to the reality of animal cruelty, Middle England still has a way to go. 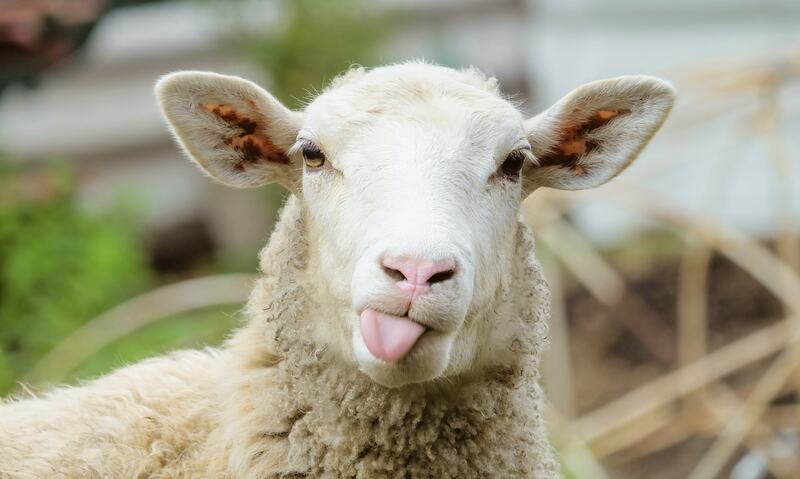 How many people will have read about Wool this week and thought 'so true - I'm going to ditch my woolen jumper, become a vegan and sign up to PETA!’? Very, very few. Catchy headlines might put veganism in the news but they really don’t do us any favors.